ABOUT: Elaine Sexton is a poet, educator, critic, and micro-publisher. She is the author of three full-length collections of poetry, most recently, Prospect/Refuge (Sheep Meadow Press), and numerous chapbooks. She has served as a judge for several book and chapbook awards including the Jane Kenyon Award and the Frank O’Hara Prize. She recently founded Combine Books, a chapbook press with poet Heather Sellers, and has been an editor/curator for Q Avenue. 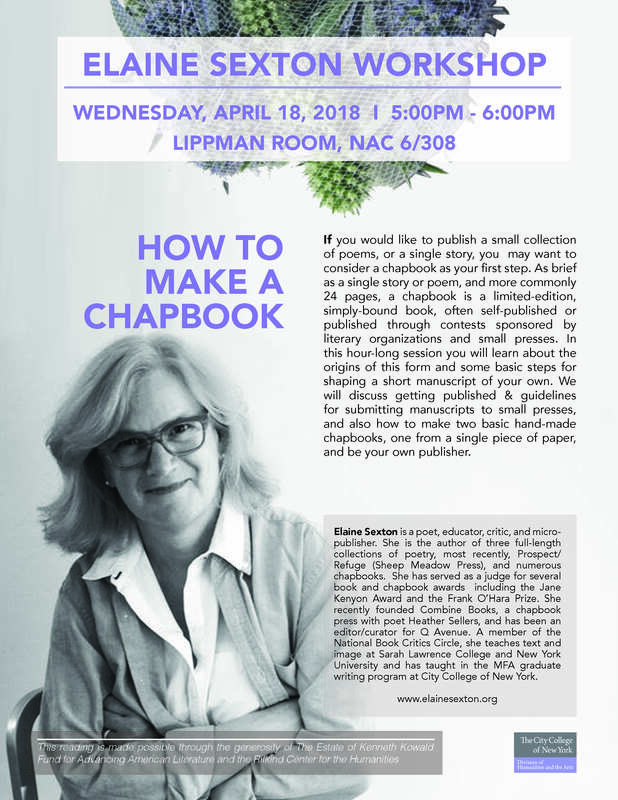 A member of the National Book Critics Circle, she teaches text and image at Sarah Lawrence College and New York University and has taught in the MFA graduate writing program at City College of New York.